Partner with SARRAH to make the changes people living in rural and remote Australia need. 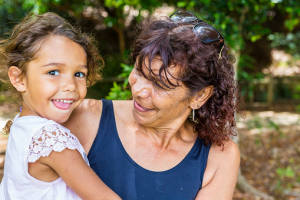 The SARRAH Charity exists so that rural and remote Australian communities have allied health services that support equitable and sustainable health and well-being. 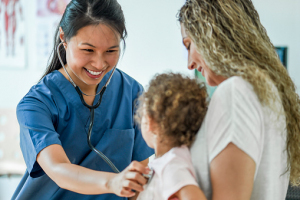 We maintain that every Australian should have access to equitable health services wherever they live and that allied health professional services are basic and fundamental to the well-being of all Australians. SARRAH carries out its mission by developing policy, advocating for healthcare reform, sharing industry knowledge and expertise through conferences and collaborating with organisations from across the rural health sector. Your contribution can bring us closer to achieving our mission to support allied health professionals and improve access to allied health services in rural and remote communities. By supporting SARRAH, you become an agent of change for rural and remote communities within Australia. In return, we will provide you with updates that you can share with your team, social media community and customers, to promote the amazing outcomes your support is making possible. If you donate today, you can be part of SARRAH's work in getting vital health services to rural and remote Australia. Your donation is crucial to helping SARRAH address this inequality. You will also be strengthening rural communities by ensuring quality health services are available to all Australians, whereever they live. The SARRAH Charity is a registered charity and provides official receipts for tax purposes. Cash donations are full tax deductible and you can make a single donation or you can support our cause on an ongoing basis. All donors of the SARRAH Charity will be formally acknowedged in the SARRAH Foundation Annual Report, in the newsletter "Connected" and on the SARRAH Charity website. Donations more than $25,000 will be acknowledged on the SARRAH honour board and will receive an honour plaque. SARRAH also respects donors who wish to remain anonymous. Occasionally, we will have specific funding drives and project appeals that will need your support and our Foundation Partners will receive advance notice. Thank you for your generous support. With your help, we can close the health gap for communities in rural and remote Australia. Please note: Refunds or payment adjustments will be processed on a case-by-case basis..